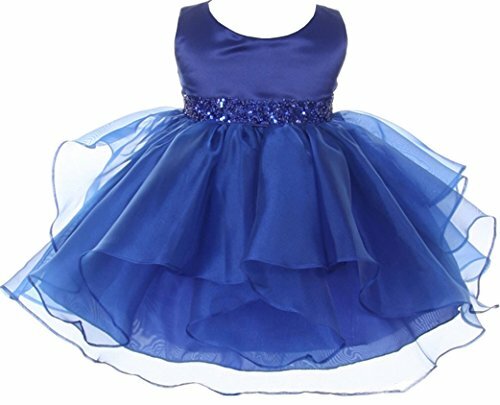 A darling special occasion dress for your baby girl. This stunning sleeveless dress features an organza ruffled skirt and a beautiful sequin embellished waistline. Zips up and ties with a bow in the back. Attached crinoline underskirt adds fullness. Zips up and ties with a bow in the back. Attached crinoline underskirt adds fullness.